First up for the Community Roundtable today was a discussion about the /community page on ubuntu.com and possible redirect of /contribute to it see bug here. Tomorrow one of the website design folks from Canonical to talk with us about what we can do proposal-wise for improving it as we don’t want to ask people for mock-ups if they won’t be accepted. 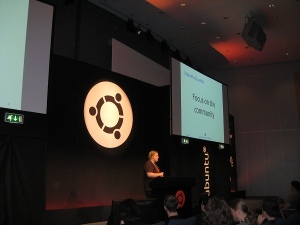 The next topic was the ubuntuforums.org upgrade status. The OpenID plugin is done (thanks Kyle Baker!) and now it needs to be installed, tested and then hopefully deployed in the near future. 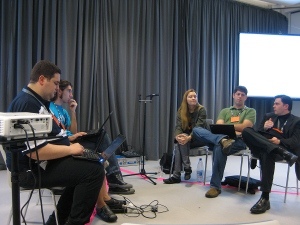 We then discussed some of the Ubuntu TV developments. This past cycle the community struggled somewhat with communication with Canonical as the project was back-burnered a bit for the 12.10 cycle with the dropping of Unity 2D (which the original prototype ran on). They confirmed that will have a PPA with a public prototype before a product launch which will be a good place for community to contribute, this is targeted for 13.04. 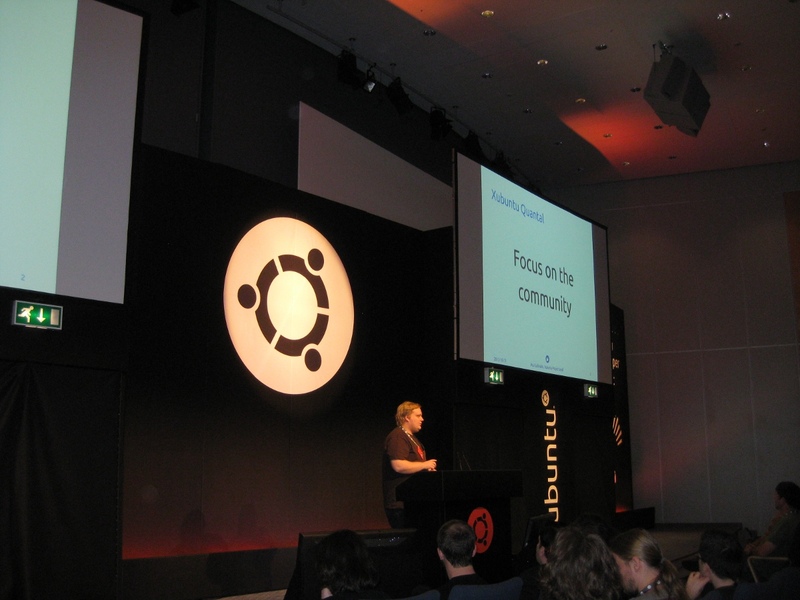 It was also noted that the best places for community to keep up with the project are the #ubuntu-tv IRC channel, blog and the wiki. Finally, we talked about how announcements in the community are done. If people aren’t following planet or ubuntu-dev – how will they know about important changes? It was generally agreed that the fridge should be used for this, but the fridge team itself isn’t always notified of things, encouraged more use of the ubuntu-news-team mailing list and informing volunteers in #ubuntu-news so that posts can be made. 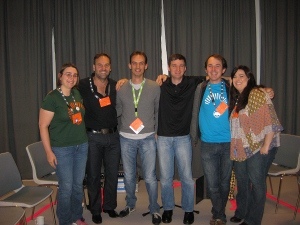 Volunteers are always welcome on this team, I’ll write a post about precisely what we need soon. I then met up with Xubuntu project lead Pasi Lallinaho so we could talk about what he intended to include in the Xubuntu section of the flavors plenary after lunch. 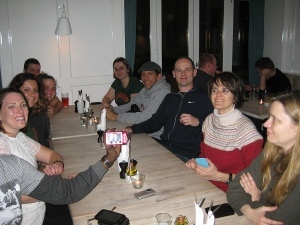 The Community Council then met to have a quick face-to-face discussion about the general community, and we got a photo! The plenaries for today began with presentations from the flavors. Lubuntu – In the last cycle they created a new icon set, made look & feel improvements, new file manager, and managed to still fit the iso on the CD and keep the alternate installer and have builds on PowerPC and ARM. 13.04 they want more improvements to and additional icons (and other improvements with artwork), more testing and more devices (perhaps the Nexus 7?). Kubuntu – Did a presentation introducing many of the Kubuntu developers who are attending UDS and the work they work on in Kubuntu. Lots of fun pictures of the Kubuntu folks! Ubuntu Studio – Talked about the current state of Ubuntu Studio and the focus on multimedia creation with the Xfce desktop, low-latency kernel (required for audio) and is very workflow-oriented. Plans for the next cycle include recruiting more developers, improving team organization, collaborating with other flavors to improve developer docs and reach out more to the community through email, forums, social media and websites, settings GUI improvements, workflow manager and a system start-up script which does things like notify of bad settings (like ones which aren’t optimized for multimedia). They also wish to create a better user experience through more workflow-orientated documentation and videos. Xubuntu – In the past cycle the strategy guide was completely rewritten, recruited members of the community to rewrite offline documentation, asked existing owners of social media outlets to make them “official” and on the dev side it now has Xfce 4.10, had to drop GIMP and Gnumeric to fit on the CD and dropped the alternate CDs. In 13.04 looking for more developers and keeping track of long-standing bugs to wish to polish up, improvements to documentation, a new and improved display dialog, replacing Alacarte with MenuLibre, introducing a dialog to control GTK theme colors and more. Finally, marketing materials, my stickers and case badges and of course the ping pong balls made with the eggbot! Edubuntu – They win for brightest slides! Last cycle they decided to be more focused on long-term projects, reviving the Edubuntu Server project and seeing what they could do with tablets. They really are focused on LTS releases, so they’re aiming for these for landing the long-term projects. The last slot was reserved for the group UDS photo. After this session Laura let me borrow her Nexus 7 to play around with the install of Ubuntu on it. Very fun. This evening Flavia Weisghizzi and Na’Tosha Bard organized an Ubuntu Women dinner in the city. I had a great time and it was very fun to get out and have dinner in the city and have some time to talk to Na’Tosha and her husband about the work they do developing the Unity Game Engine to Linux. Hard to believe tomorrow is our last day of UDS, I have a lot going on tomorrow though, second Xubuntu session at noon, planning on doing a lightning talk about my trip to Ghana, and the Ubuntu Women session at 3PM. 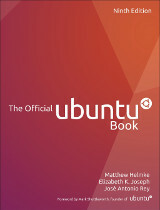 This entry was posted on Wednesday, October 31st, 2012 at 4:23 pm and is filed under tech, ubuntu planet, UDS. You can follow any responses to this entry through the RSS 2.0 feed. Both comments and pings are currently closed.